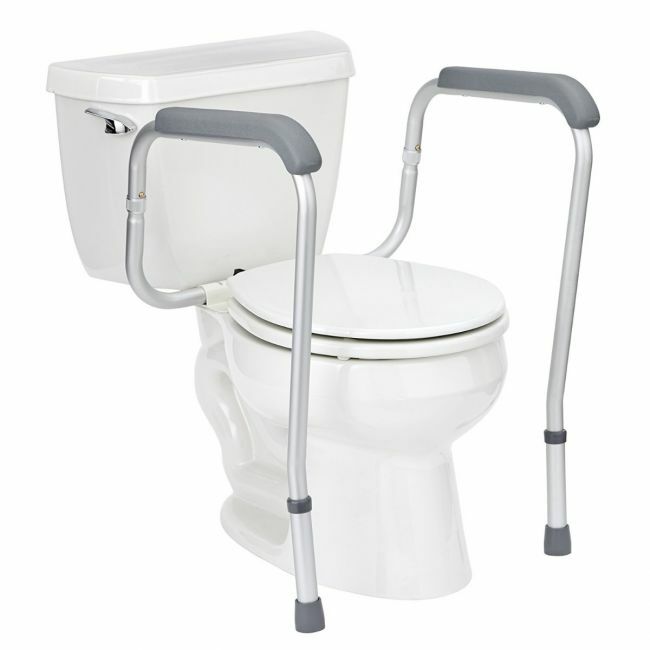 Use the bathroom with dignity with this lightweight toilet frame with supportive arm grips. This toilet frame safety surround has been developed for those who have difficulty using a conventional toilet. The sturdy and lightweight frame provides horizontal support, helping you to lower and rise from the toilet seat with ease. Each side arm has 2 options for securing it, therefore adjusting the overall width of the frame and the internal width. Where space is tight it is also possible to only attach one side of the frame. This toilet frame comes flat pack and will require some simple home assembly. Please check you toilet seat fittings are compatible with product specifications.